After five long years of development and fomenting anticipation, Eidos-Montreal’s Thief was released to expectant gamers worldwide last week. While Garret’s long-awaited reboot has proven to be divisive, developer Eidos and publisher Square Enix partnered up with Titan Books to release The Art of Thief. 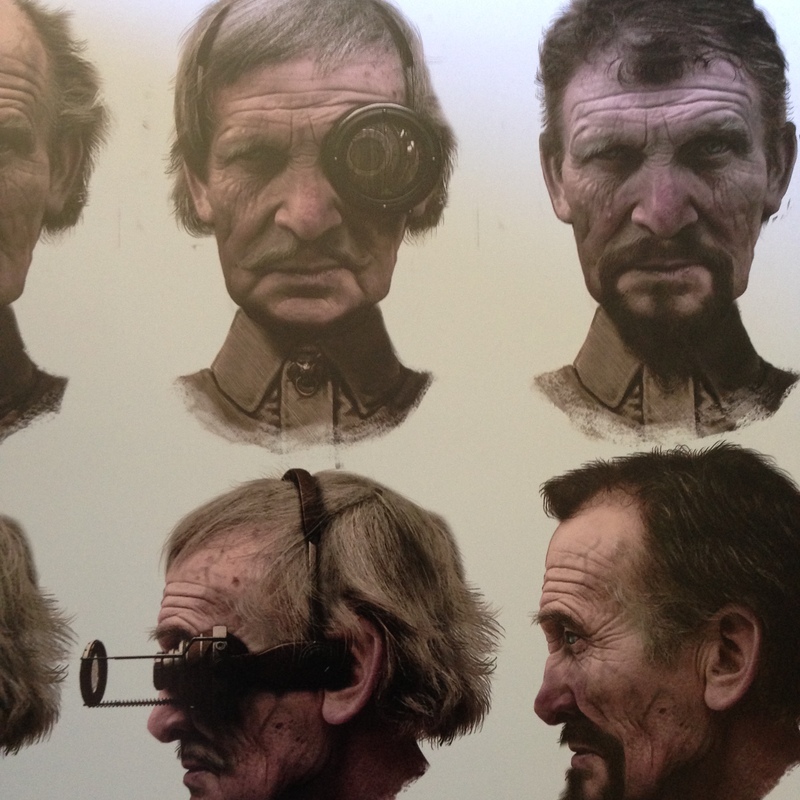 This book of concept art and other artistic assets celebrates the game’s release, the artistic effort that went into creating it, and the enthusiasm of the fans that went into creating it. Physically, The Art of Thief is an impressively crafted and sturdily made product. When set against my copies of the The Legend of Zelda: Hyrule Historia, The Legend of Korra: The Art of the Animated Series, and The Sky: The Art of Final Fantasy, The Art of Thief comfortably finds itself in exceedingly good company. This volume is contained within a glossy slipcover that features the ubiquitous portrait shot of Garrett’s outstretched hand (the flip-side being a staggeringly beautiful portrait of the City's river) and boasts a respectable two-hundred pages of art and commentary. What sets this tome apart from others is the more creative use of center-fold imagery that enables Titan, in conjunction with Eidos, to share in gratuitous detail the final design of anti-hero Garrett or to present an elaborate map of the City. The Art of Thief is also very intelligently laid out, enabling a better examination of Garrett, other characters, loot, and the City. 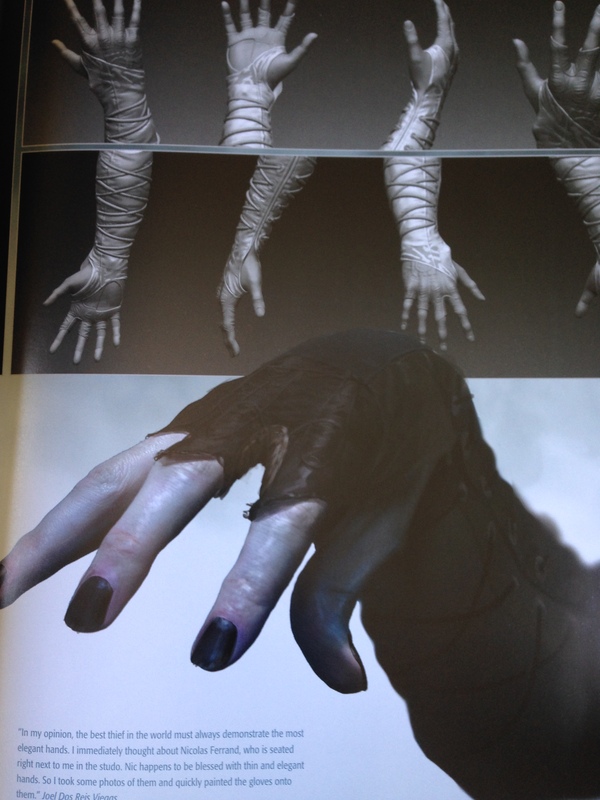 One of my favorite sections detailed Garrett’s hands and the focus that went into crafting them. I don’t think I’ve ever encountered such a focus on hands in any of the other art books that I own which adds to the distinctive uniqueness of this volume. 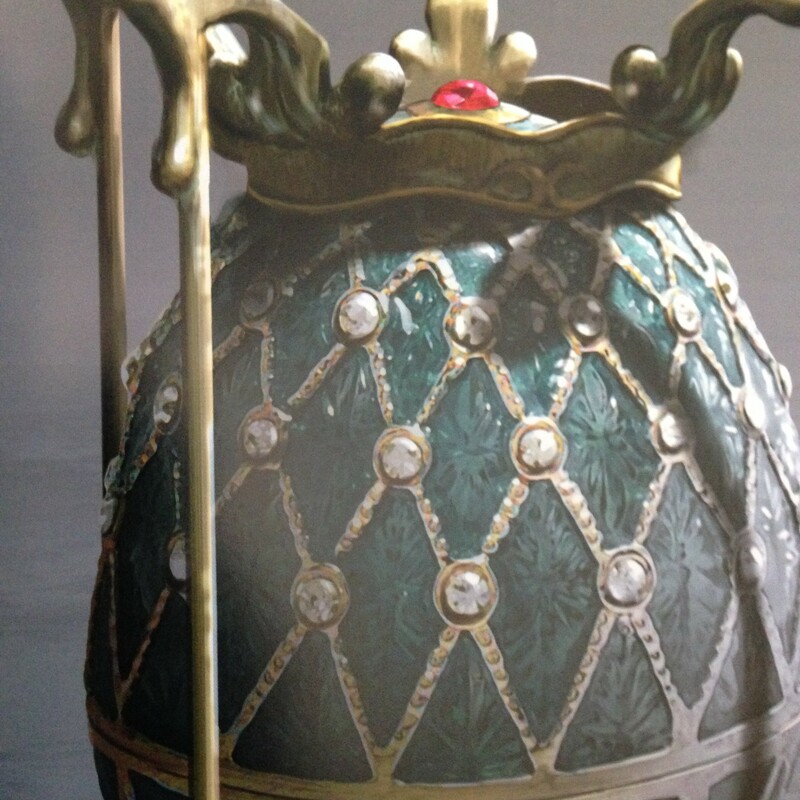 Typically, art books are heavy on art and light on exposition. Rather than modest blurbs of information contributed by artists from Eidos, readers will find whole paragraphs gladly presented to accompany the work of the artists when appropriate. It’s a wonderful change from the almost nonexistent literature found in others, especially considering that the fans who are most likely to buy this volume are the ones that are absolutely desperate for every minute detail on the reboot. However, unlike The Sky or Hyrule Historia, The Art of Thief is an exceedingly dark book. Its use of blacks, blues, and grays as the primary color palette reflect the game’s grungy Victorian-era inspiration. Readers won’t find many colors, save for in the furniture and loot sections, but in the few instances of a broader color palette that are present in the artwork the pages simply come alive with a vibrance rarely seen. 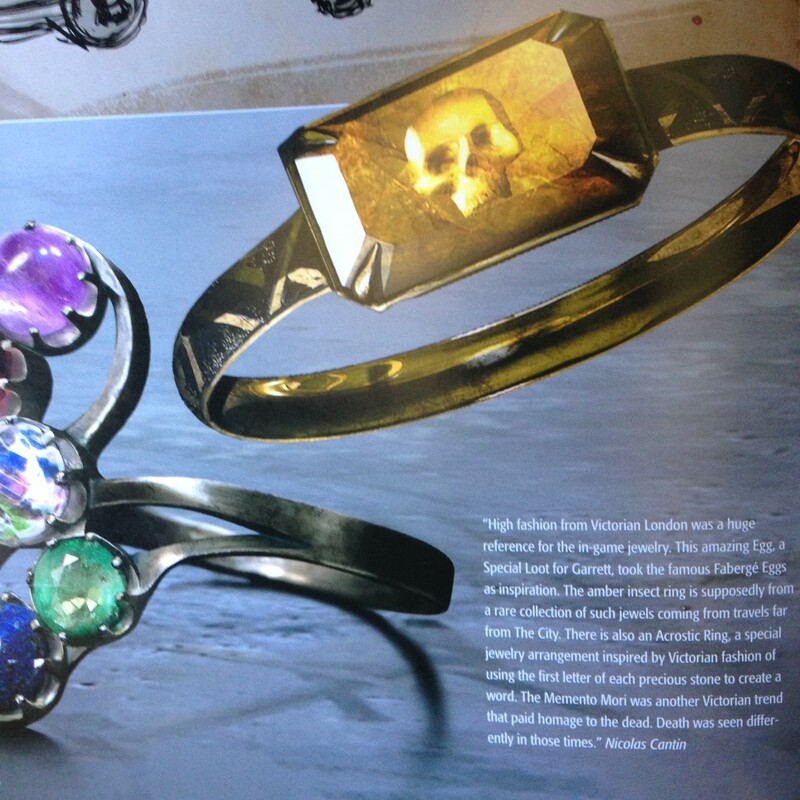 Otherwise, the pages of The Art of Thief exude a deadly, if demure, color palette that complements the finished game. The Art of Thief is a wonderful companion to the game and, regardless of the game’s performance or critical reception, is a welcome retelling of its journey from conception to completion. For art lovers, video gamers, and Thief-fanatics everywhere, The Art of Thief is a talented and bold addition to bookshelves everywhere. The Art of Thief is now widely available. Order your copy from Amazon: The Art of Thief today. Love the reviews you guys post. This art book looks really nice, I really hope that Square will do more of those in the future. Too bad they didn't spend more time polishing the game. I have a feeling that it could have been a lot better if they did. I'll probably pick it up when I find it in the bargain bin in a few months. 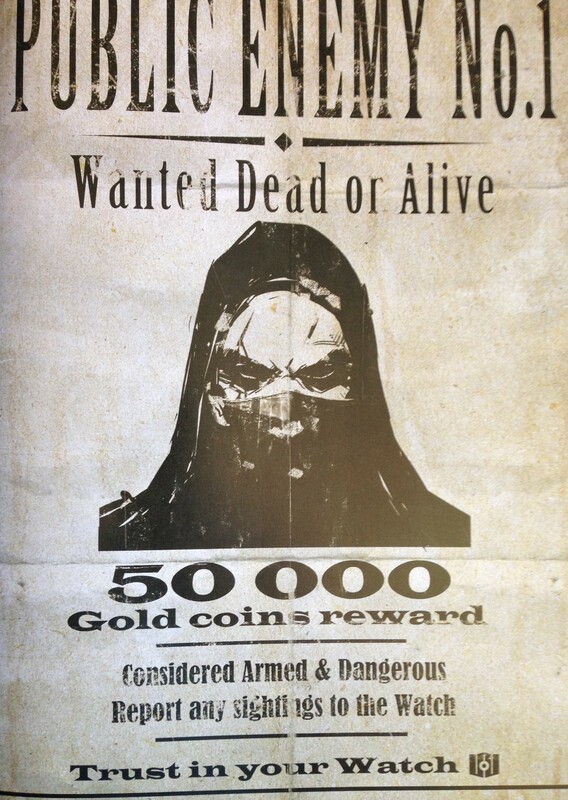 I love that the asset sharing between Eidos and SQ seems to be just using the Final Fantasy font on a wanted poster. EDIT: Awwww, thanks DonVII. It's always nice to know that SI (me!!!!!!!!!!! !11111) has an adoring fan or two. I don't think Square Enix had too much to do with the book. Besides a few copyright tags and a shoutout from Cantin in the Intro, there's almost no mention of them. This book is gorgeous. As a standalone product it's a no-brainer for Thief fans. 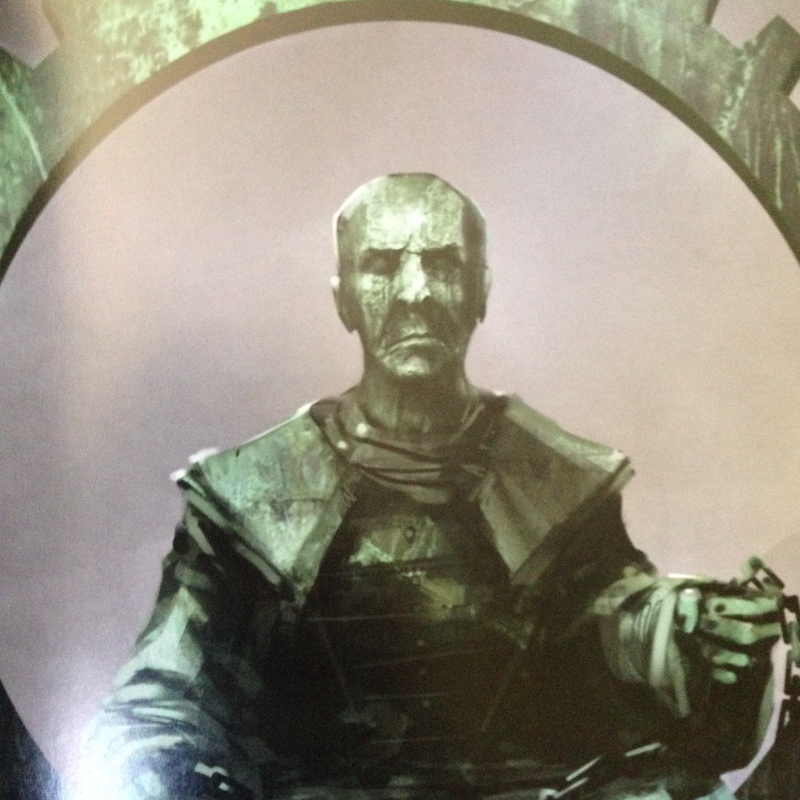 It's just that Thief as a game got beaten to the punch by Dishonored—a comparison that had to be made by someone like me, who played Dishonored exhaustively and never played Thief.